At some point in the journey each of us takes toward optimal oral health, we wake up to realize that we have to take better care of our teeth and gums. Unfortunately, at this point, most of us simply increase what we are doing, assuming for example, “I must not be brushing my teeth enough”. The problem occurs when we take action without first questioning whether what we’ve been taught by ‘conventional wisdom’ is true or health giving. It’s a really common slippery slope because we want to make a change (we’ve awakened to the fact that we need to do something now) we rush headlong into doing more of the same. However, without stopping to examine the fact that much of the damage in our mouths has come from ‘conventional wisdom’, we risk increasing the problem rather than finding the path to optimal oral health. We call this acting-before-thinking strategy the ‘Ready, Fire, Aim’ approach. And so when we turn our attention to a common question we receive here at OraWellness, we see a very similar situation. Given the cultural misunderstandings we’ve all been taught, the logic of this question makes sense. After all, we’ve been taught that bugs in the mouth are the (only) cause of decay, these bugs eat fermentable carbohydrates from the food we eat, and brushing removes the bad bugs and their food. While this is a partial truth (as you know, there are other more primary causes of tooth decay), does this mean that we should brush after every meal? So, what exactly is an ‘erosive challenge’? To answer this, let’s go back to conventional wisdom. Despite the fact that we are taught that bugs in the mouth cause decay, we aren’t taught why this happens. The reason why bugs contribute to decay is because they secrete acids as part of their metabolic process and that acidic waste slowly dissolves tooth enamel. This process is called ‘acid dissolution’. Remember high school chemistry? Acids dissolve other compounds. In the case of our mouths, acids literally take apart (demineralize) the surface layer of our teeth. Before this scares you, realize that our bodies have a wonderful ability to remineralize this surface ‘acid dissolution’ of the enamel through contact with our saliva which we’ll detail shortly. However, first let’s be clear that acids cause ‘an erosive challenge’ to our teeth. What does this have to do with brushing after meals? The rub here is that most meals have some acidic component to them. Even if you aren’t drinking a ‘conventional soda’ (which is terrible for your teeth and the rest of your body by the way), we still have plenty of acid in most meals to cause an erosive challenge. Here are some common acidic foods and drinks that can provoke an ‘erosion challenge’. To be clear, naturally acidic foods are good for us (even sweet foods in very moderate amounts). They stimulate digestion helping us get more nutrients from what we eat as well as support a more balanced pH in our bodies. (Most of us tend toward an acidic internal environment, so having more naturally acidic foods actually helps our internal chemistry be more alkaline). This is the logic behind putting a squeeze of lemon in your water or having a side of fermented veggies with a meal. If you tune into the feel of your teeth with your tongue, you can feel a roughness after eating or particularly after drinking something acidic. Then, after a bit of time, that surface roughness ‘goes away’ (is remineralized). Since one of our primary aims with OraWellness is to help heal the disconnect most of us have with our mouths, here’s a free tool to help you get to know what’s going on in your mouth. We also wrote an article titled, “How long should I brush my teeth?” that details how our tongues can provide us so much feedback if we tune into what we feel in the mouth. So, when it comes to eating and brushing, the game is to wait at least 20 minutes after eating before brushing. You see, once acids in foods/drinks cause an erosive challenge, it takes a bit of time for the enamel that was weakened to harden back up. The last thing we want to do is to unconsciously go scrub our teeth when the enamel is weakest as this has been proven to remove enamel from our teeth. However, we can speed up the body’s ability to recover from acids in the mouth. So how can we best support optimal remineralization after a meal? The best ‘after a meal’ strategy we have found is to take a small mouthful of water and swish it around the mouth for several seconds after finishing a meal (unlike oil pulling, it’s fine to swallow the sip of water after the swish). This water bath helps to remove acids from the food/drink from the surface of our teeth to help stop the ‘erosive challenge’ while not physically scrubbing the softened enamel surface. If you want to take your remineralizing efforts to another level, check out our video on ‘mouth probiotics’ as this video shares how to maximize our body’s ability to naturally remineralize teeth. So, if you are brushing after meals and thinking that you are doing good, please pause, question the logic and swish a sip of water instead! Was this helpful? Please post a comment below if you have any insights to share with the community. Thank you Will and Susan I find all your articles interesting and always pick up a gem or two to support my dental hygiene. Great advice again, you guys! This is particularly important for anyone who has any degree of gum recession. This leaves some root surface (dentin) exposed, which is even more vulnerable to this acid erosion. One more thing to add to your acidic foods list: sparkling water! People often think this is just water with some bubbles in it, but the carbonation process makes “sparkling” water very acidic. Thank you for stopping by to add your expertise to the discussion! Great point about gum recession. And sparkling water??? I didn’t know that carbonation makes water acidic! Thank you for adding this important distinction here. 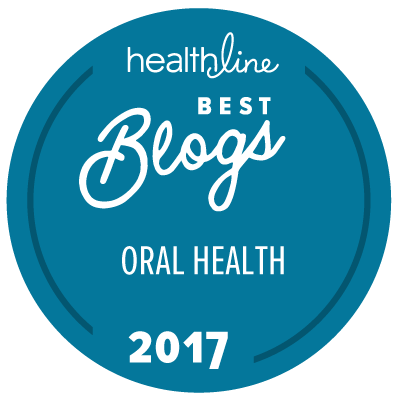 We are so blessed to have awesome dentists like you offer your expertise on our blog! Great information. Wonder if after you gather all that saliva in your mouth if brushing your teeth with that saliva would be beneficial? of course would have to brush when teeth are not in challenged state. Brushing with saliva (only) is a very health giving practice provided that you do it an appropriate amount of time after an erosive challenge (like you state). Yes, excellent habit!! BTW, how long should I wait after a meal to brush so as not to cause harm to enamel? This never used to be a concern, but just recently I’ve been having plaque/tartar build up very [VERY] quickly and a couple of days ago started brushing after eating. This is helping, but need to know how long to wait. Have a big microbiome issue and a pH that is stuck in acid. Working on the pH via Chinese medicine/traumas to body/etc. to clear energy pathway to parathyroid. Thanks for stopping by to touch base with us. How long is ideal to wait before brushing really depends on the level of acidity in the meal and whether you swished or not. If you have acids in the meal (vinegar, etc), then it’s warranted to wait 20-30 min before brushing. However, if you swish with water after a meal and reduce the acids in the mouth very quickly after eating, I consider it safe to brush 10-15 min after finishing. Does taking digestive supplements which include HCl have an effect on one’s enamel? Great question! Thanks for stopping by to ask! So, the issue that we wanted to bring to light with this article is that acids on the teeth can cause an erosive challenge. Once the acid is in the stomach, via an HCL capsule, it’s not going to directly impact the teeth in this way. However, that doesn’t mean that taking an HCL capsule isn’t going to have an impact on the mouth. While we haven’t fully researched this (yet), we believe that the environment of the entire system impacts the entire system. The mouth is at the beginning of a ‘river’ through our bodies. As many of us are deficient in HCL production, it would make sense that taking HCL to support better stomach function would support a healthier microbial environment (called a microbiome) in the mouth. Great article Will. A friend of mine who eventually became a dentist was always telling his friends not to brush our teeth after drinking soda. He also said orange juice was bad as well. I was going to ask how long we should wait before brushing but found the answer you gave to Annie. Do you think it is better to use mouth wash immediately after eating and then brush later? Thanks for stopping by to share your thoughts here. That way, you immediately reduce the acidic environment and get the concentrated acids off the teeth. I’m notoriously bad about brushing my teeth twice a day like my dentist wants. One of the reasons is that I don’t normally have time after breakfast. Especially if I need to wait at least twenty minutes before brushing. Would it be counterproductive to brush my teeth before eating breakfast? It would avoid the acid problems, but would it be worth it? Great question! Thanks for stopping by to ask us. I see a couple options for you given what you describe here. First, you can definitely brush your teeth before breakfast. There’s an upside and a downside to this idea. The upside of brushing before breakfast is you get your teeth brushed in the morning. The downside is there is some suggestion that the plaque in our mouths serves as a gentle barrier to a main cause of decay, namely acid dissolution. If you think about this, it makes sense. Not all plaque in the mouth is ‘bad’. Research suggests that plaque serves to protect the enamel to help keep acids from foods/drinks (at breakfast) from damaging our enamel. If your only option is before breakfast or not at all, I would still choose before breakfast. I keep thinking that since swishing with water removes the acids from our mouth and from our teeth, it’d be okay to brush straight away after a meal. Or, instead of swishing with plain water, swishing with xylitol (which I’m pretty sure Dr. Ellie suggests), or something alkaline like baking soda dissolved in water, ought to work to neutralize the pH in our mouths. It’s research like this that I keep thinking must have been done by now since people have been talking about the “best time to brush” for years and years. Many many years ago, Dr. Robert Nara wrote about what happens to the pH in our mouths after meals, and after certain foods, and how long it takes for the pH to return to neutral without us doing anything deliberately to bring it to neutral. Anyway, for me, I’ve just started brushing before breakfast, after decades of brushing afterwards, thinking that it’s not a good idea to leave food residue on my teeth after brushing. Now, after eating something, I’ll swish real well, sometimes with xylitol, or sometimes with a little salt. I love the healthy mouth blend! So convenient all-in-one product, and natural too. An easy small change to make with a big health impact… Thanks so much!